$0.01 for the first month hosting. We are a premier web hosting provider located in New Jersey. We provide unmatched webhosting services at affordable costs. If you're looking for quality services, reliable equipment, safe and secure datacenters, friendly support staff and high quality customer service, you have come to the right place. 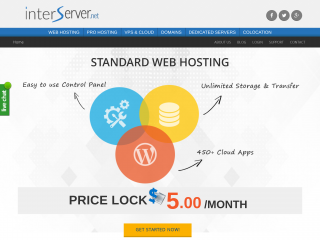 Interserver offers 30 day money back guarantee on shared hosting, 99.5% uptime guarantee, 100% power guarantee , fast and easy setups, easy to use control panel choices, and much more.